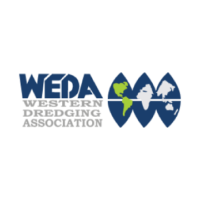 Asian and European companies are investing billions of dollars into state-of-the-art, gas-powered manufacturing plants while American companies are building terminals to export crude oil, refined products and liquefied natural gas to lucrative markets overseas. This rail project includes a 9,920 foot long unit train siding capable of storing a full 150 car unit train siding adjacent to the Fulton Corridor Lead track that serves Port Industries. 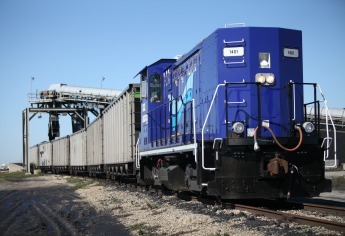 Unit trains are being increasingly used for shipment of grain, sand, rock, liquids, and other similar cargo. 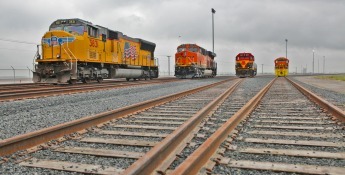 The new rail interchange, Nueces River Rail Yard (NRRY), will initially consist of four parallel ladder tracks for a total yard capacity of 15,400 feet and 223 rail cars. This new rail yard will greatly improve efficiency of existing cargo movement at Port Corpus Christi’s multimodal facilities. This is a two phase project. Phase I, opening April 2015, is a $17.8M construction project utilizing $10M from the federal TIGER grant. Remaining funds are covered by Union Pacific, Kansas City Southern, Burlington Northern Santa Fe, Genesse Wyoming, and Port Corpus Christi. Commencement of phase II construction will coincide with the opening of phase I and is funded by a $22M grant from TxDoT and $6M from Port Corpus Christi. With a scheduled completion by year end 2016, phase II capacity will increase the NRRY to eight, 8000’ long unit train sidings. Fully permitted and under construction, the M&G plant, located on the northside of the Inner Harbor adjacent to the Nueces River Rail Yard, is projected to be the world’s largest PET plant, and represents a $1.3B investment. 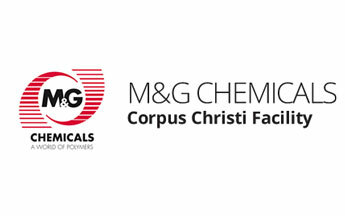 M&G Group is a family owned chemical engineering and manufacturing group headquartered in Tortona, Italy. The company operates in the PET resin industry through its wholly owned holding company Mossi & Ghisolfi International S.A. (M&G International). M&G International is the largest producer of PET resin for packaging applications in the Americas, with a production capacity in 2010 of approximately 1.6 million tons per annum. A recent deal between Swiss owned Trafigura Terminals LLC and Houston, Texas based Buckeye Texas Partners guaranteed Buckeye an 80 percent majority interest in the assets held by Trafigura Terminals LLC at Port Corpus Christi. Trafigura gains $860 million US, and retains a 20 percent holding in the terminal. Trafigura has traded physical Eagle Ford crude and condensate since 2011 and added $500M of extensive improvements to the terminal. Now, the Buckeye Texas Hub is located along the Inner Harbor Ship Channel at Port Corpus Christi with Aframax-capable draft up to 45 feet and 5 vessel berths (including 3 deep-water docks), extensive truck and rail access, and significant tankage expansion underway, the Buckeye Texas Hub will be the premier Corpus Christi marine export terminal upon completion. Total storage capacity at the Hub will be approximately 2.3 million barrels of crude, condensate, naphtha, and fuel oil. The La Quinta Trade Gateway Terminal is a major component of Port Corpus Christi’s long-term development plan. 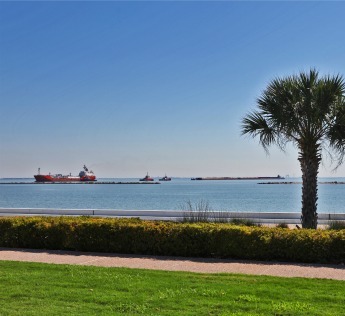 Located on a 1,100-acre greenfield site on the north side of Corpus Christi Bay. 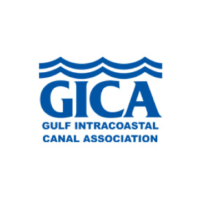 Project features consist of the Federal extension of the 47’ deep La Quinta Ship Channel. The La Quinta Trade Gateway Terminal is adjacent to US 181/IH 37 and currently served by on-site rail road with the Class 1 main line located 1.5 miles away. 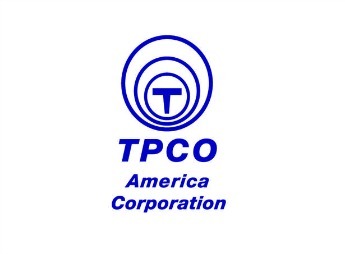 TPCO America’s new $1.3 billion seamless pipe mill is rising on a site near Gregory, following years of planning. 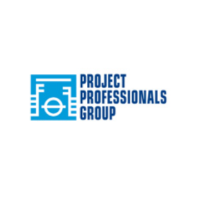 This project represents the largest single investment by a Chinese company in a US manufacturing facility. The selected site is across US 181 from Port Corpus Christi’s La Quinta Trade Gateway site in San Patricio County. 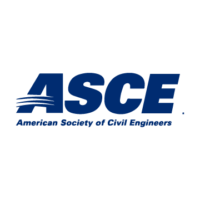 When fully operational, the project will employ 600 – 800 people producing 500,000 metric tons per year of 4” through 10 ¾” of seamless steel pipe. The pipe, utilized by the oil and gas industry, is produced by recycling scrap steel in combination with pig iron. The state of the art facility will use Best Available Control Technology (BACT) to ensure emissions are consistent with federal and state air quality standards. In commitment to environmental excellence, the facility will recycle water to the maximum extent possible and will employ a range of energy saving strategies. The voestalpine Group is constructing a facility on Port Corpus Christi’s La Quinta Trade Gateway. The planned facilities are designed for an annual capacity of around two million tons of HBI (hot briquetted iron) and DRI (direct reduced iron). This is a$740M investment. Operations are set to begin by year end 2015 with a full time staff of around 150 employees. 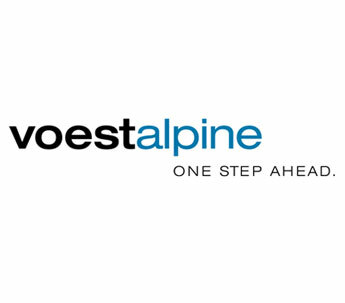 The voestalpine Group is a steelmaking, processing, and technology group operating worldwide. The voestalpine Group, manufactures, processes, and develops high-quality steel products. With 500 production and sales companies in more than 50 countries on five continents, the Group has been listed on the Vienna Stock Exchange since 1995. With its top-quality flat steel products, the Group is one of the leading partners to the automotive and domestic-appliance industries in Europe and to the oil and gas industries worldwide. The voestalpine Group is also the world market leader in railway switch technology, special rails, tool steel, and special sections. In the 2011/2012 business year, the voestalpine Group reported revenue of more than EUR 12 billion and an operating result (EBITDA) of EUR 1.3 billion. It staffs roughly 46,500 employees worldwide. 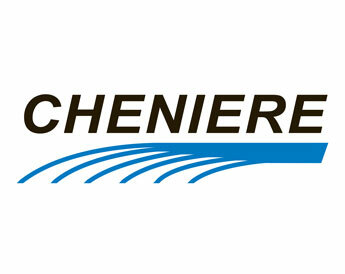 Corpus Christi Liquefaction, LLC (Corpus Christi Liquefaction), a subsidiary of Cheniere Energy, is developing a liquefied natural gas (LNG) export terminal at one of Cheniere’s existing sites that was previously permitted for a regasification terminal. 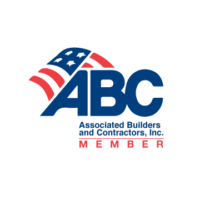 The Federal Energy Regulatory Commission (FERC) recently granted approval for the project. Permitting with the Department of Energy is underway. The proposed liquefaction project is being designed for three trains with expected aggregate nominal production capacity of up to 13.5 million tonnes per annum (mtpa). The over 1,000 acre site is located on the deep water La Quinta Ship Channel approximately 15 nautical miles from the Gulf of Mexico on land owned or controlled by Cheniere. The Corpus Christi Liquefaction Project is expected to be constructed in phases, with each LNG train commencing operations approximately six to nine months after the previous train. This is a $13B investment by Cheniere. Operations are expected to commence by 2020. Under construction, and with an investment of $55M, Oxy Ingleside Energy Center, LLC (OIEC) is located at the former Naval Station Ingleside. The property was purchased from Port Corpus Christi in 2012. OIEC has plans for an LPG/LNG export plant and will utilize the 1100 foot pier and wharf constructed by the US Navy in 1992. 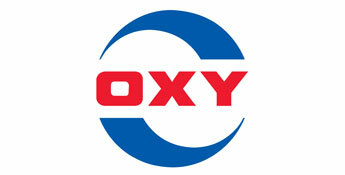 Operations at OIEC are anticipated to begin in 2015 for LPG and 2016 for oil. Construction of a $1B ethylene cracking plant on the shores of the La Quinta Ship Channel is progressing towards a 2017 completion. 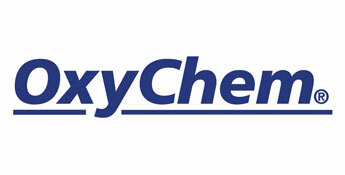 A joint venture for OxyChem and MexiChem, production at the plant will result in 1.2 billion pounds of ethylene per year, and employ around 150 people. Extensive updates at Port Corpus Christi continue with facility upgrades to handle demand to export crude and condensates from the region. Construction of new oil docks and a bolstering of existing docks enables frequent tanker and barge calls at Port Corpus Christi. Additional barge mooring areas are now in place and serve the increase in movement of sand and liquids. 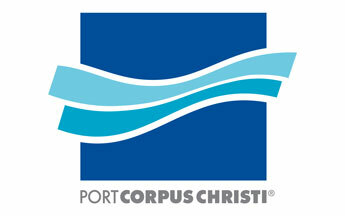 Improvements at Port Corpus Christi Oil Docks facilitate increased efficiencies and thru-puts. Converted cargo docks accommodate outbound shipments of crude and other liquid cargos. The Port’s Bulk Terminal and several cargo docks and building facilities are utilized for handling sand and proppants. A barge unloading facility located at the Inner Harbor, imports, cleans, processes, and trucks over 1 million tons of sand per year for use in the hydraulic fracturing process. In total, investments with direct relation to the Eagle Ford Shale total over $100M at Port Corpus Christi. For decades rail traffic in and out of Corpus Christi’s port area industrial complex was steady but could be easily handled with existing rail infrastructure. Today the Port’s business development staff anticipates substantially more sustained rail activity in the future. 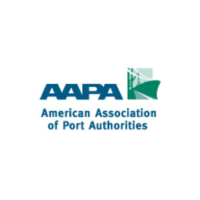 The Port Authority is developing a land management master plan to help guide future infrastructure investments and property leasing decisions. A rail master plan will provide part of the framework for that planning effort.